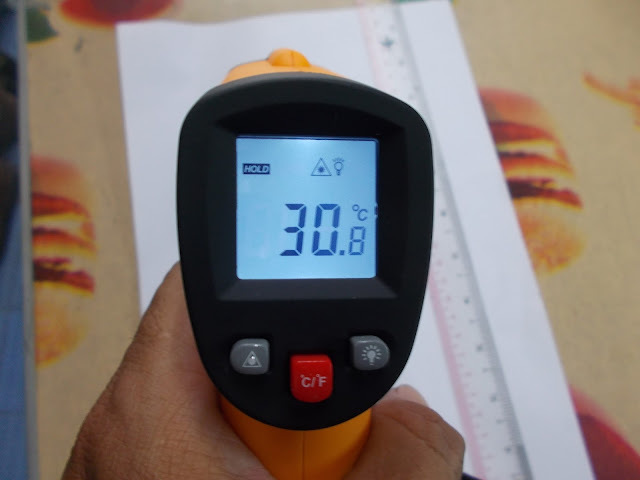 This Digital Infrared Thermometer is compact and easy to use. 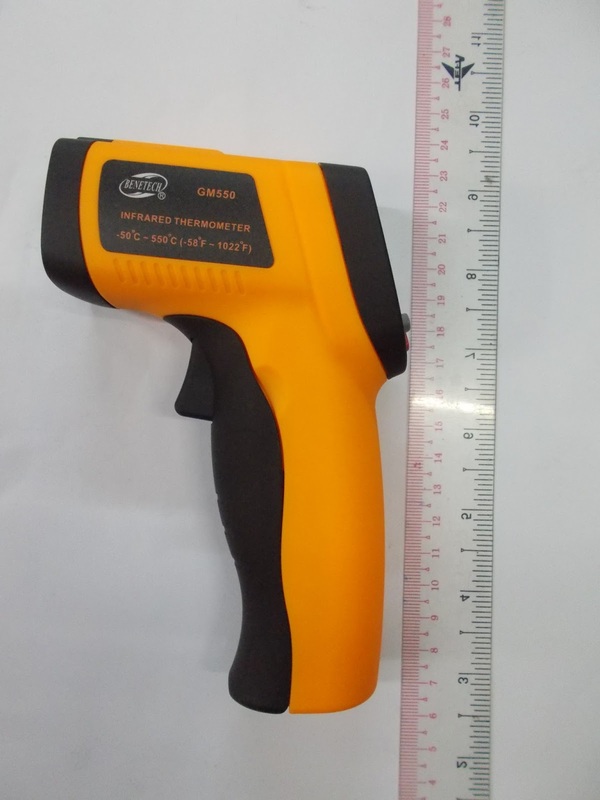 It is a very useful item for measuring surface of hot, hazardous or hard to reach objects without having to touch them. You just aim with Laser Point, press the button, and read the temperature in less than a second. 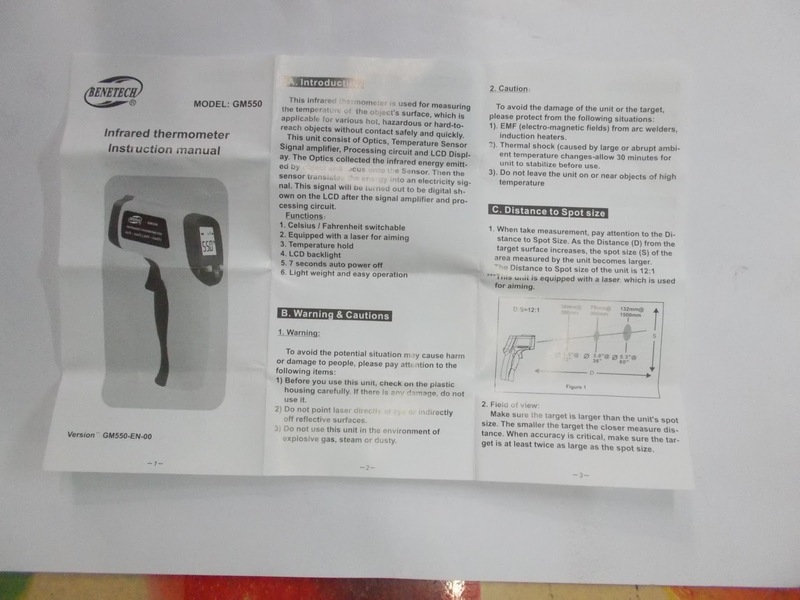 It has wide measuring range of Temperature from -50 to 550 °C (-58 ~ 1022 °F). The thermometer is also featured with Backlight LCD, Large Distance to Spot Ratio (12:1), 0.95 emissivity, switchable between °C and °F. 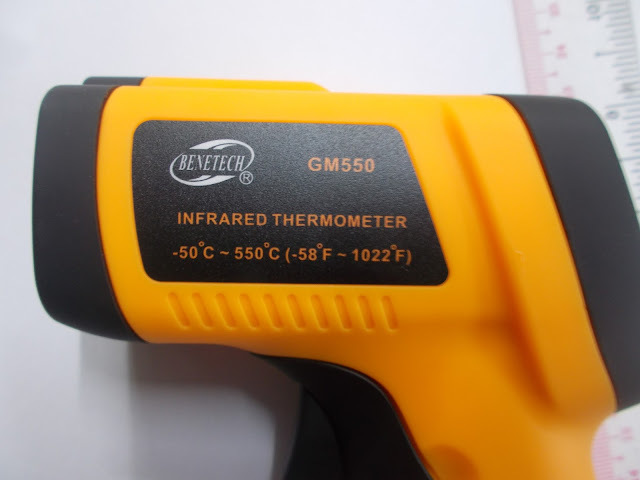 Infrared Thermometer measures the surface temperature of an object. The unit's optics sense emitted, reflected and transmitted energy which is collect and focused onto a detector. The unit's electronics translate the information into a temperature reading which is displayed on the LCD. 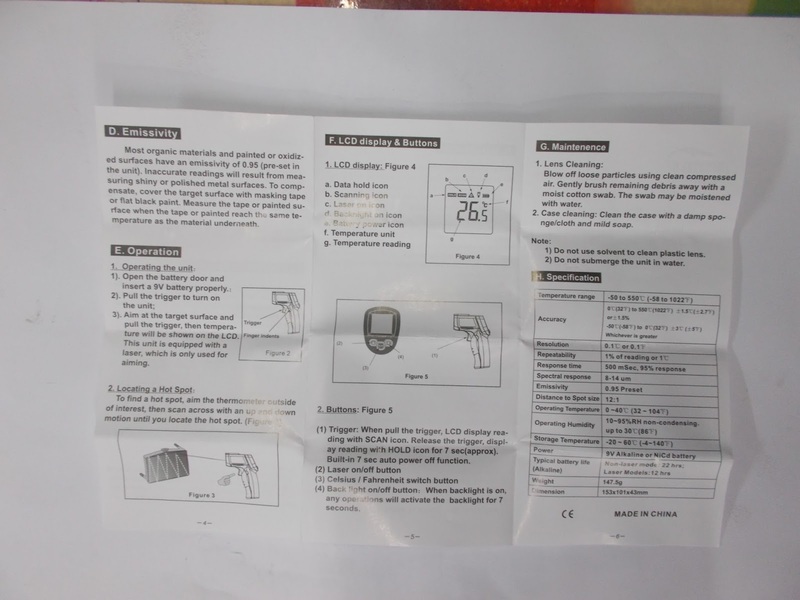 For increased ease and accuracy, the laser pointer makes aiming even more precise.